The following material comes from the forthcoming eBook, Marketing Essentials for Growing Businesses. To get this eBook for free when it comes out, register by clicking here. So far in this book, we’ve talked about product, values, and mission. Next is vision. The vision of a business is the end goal, the finish line, the place you intend to go. This doesn’t even have to be the ultimate destination—it can simply be your next milestone. It’s like having a clear mile-marker while running a marathon. Having a vision of that next step keeps you going when it gets tough. Once you get to that mile marker, then you can see the next milestone. Finding your vision is vital because if you don’t know where you’re going, you don’t know how to get there. This could be money, size, or adding a certain value to others. Why is vision so important? The best analogy I’ve heard for a business’s vision is the vision of a driver at night. Say you’re the driver. If you’re driving at night, all you can see is what’s in your headlights—just what’s right in front of you. If that’s all you’re looking at, you will make progress, but there’s no telling if you’re going in the right direction or if your destination is there. You have to know where you’re going when you can only see is what’s in front of you. Like a driver at night, if you the business owner have clear vision, you can drive in the right direction. If you’ve got the vision necessary to take you through the night, you’ll know that you’re hitting the right milestones, that your going in the right direction, and ultimately that you’ll know when you’ve achieved success. This is arriving at your destination, the goal to which your vision looked. You might want to go somewhere beyond your vision once you get there, but having a clear vision at the outset will help you make progress toward specific outcomes. How do you create your vision? Here are practical steps to create your vision. Step 2: Once you’ve answered this basic question, quantify your vision. Be SMART. 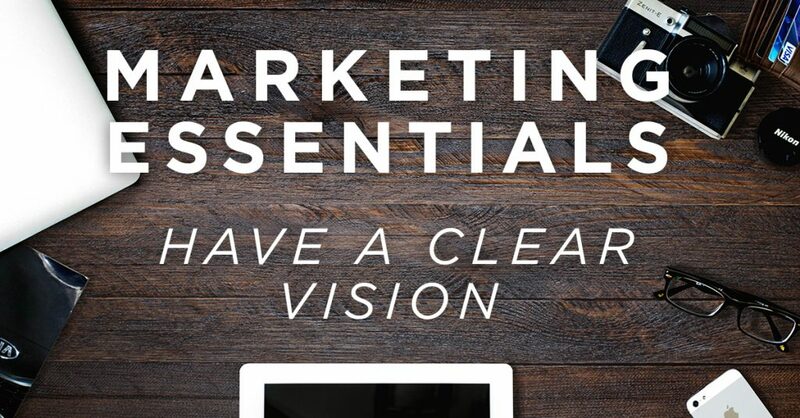 Your vision could be something like, “To reach million dollars in sales.” This is specific, measurable, and attainable, but if you don’t include a timeframe for accomplishing this, your efforts may fail to realize your vision. Make sure your vision meets all five qualifications so you can be SMART. Step 3: Finally put your vision on paper and keep it in front of you until you reach it! Once you reach your vision, create your next vision. How do you communicate your vision? If you want to bring your employees or team into your vision, it needs to be posted somewhere visible. So post it on your website, write it into your employee handbook, or literally post it on the walls of your office—just like your values! It’s important to post your vision in public, and here’s why. It will foster team unity. Through it your employees can work toward a common goal. It provides accountability to you and to your team. Your team can celebrate together when you’ve realized the vision! All of this book so far has been focused on getting in the game and establishing your foundation. But that’s all for naught if you don’t go public with it! Now is the fun part—putting yourself as a business out there to the public. Your foundational values, mission, and vision are invaluable for creating your public image. In fact, there’s no other way. Let the fun begin!